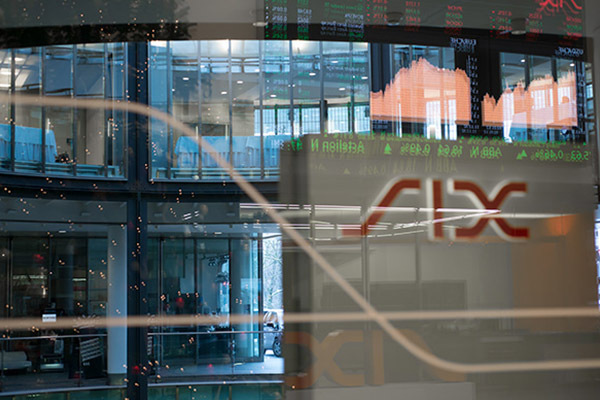 The global drop of financial markets in 2018 is opening admirable opportunities for Swiss equities. The recent loosening of Fed guidance and the short-term pause in the sino-american trade discord has given investors a second breath of confidence over fears of a world economic recession. Despite weakening growth indicators emanating from China, it seems that the strong employment dynamic of the US economy is rebalancing the former, although the US federal shutdown continues to pose worries over Q1 growth outlook. However, considering the global healthy condition of world economies, which remain far from a recession, in addition to softer tones from major central bankers, investors are becoming fonder of risky asset classes, as equities valuations have become more reasonable. For instance, the sharp drop in Swiss equities since January 2018, including both the blue-chip SMI (-5.27%) and diversified SPI (-3.22%) suggests that the recovery in Swiss shares is not over. Moreover, the sharp drop in Swiss small and medium companies in the same period, as shown by the Swiss Performance Index Small & Middle Companies (-9.10%) implies that there is likely to be room for improvement this year. Furthermore, the record high exports numbers for 2018 and recent recovery in soft industrial sentiment indicator PMI given at 57.8 (prior: 57.7) in December, highest since September 2018, point to further optimism in the Helvetic economy, where companies are believed to provide positive earning numbers for Q1 2019 amid better-than-expected international trade conditions. Indeed, Bobst Group, a leader in packaging machine producing solutions, which lowered its revenue forecasts for 2018 - 2019 amid fears of lower demand of its client base, important investment in its digital printing start-up “Mouvent” and transformations in its web-fed business units, saw its share hitting a 64.75 low in October 2018. However, the trend is about to turn, as its expansion potential is expected to strengthen in the year ahead throughout increasing market share in China and robust revenue sources across its existing BUs. Similarly, Komax Holding, a manufacturer of wire processing machines, is about to bounce back after touching 221.60 low (27/12/2018), a drop of over 31% from its high of October 2018. Despite its high reliance on the automotive industry, which accounts for more than 80% of its sales and the pessimistic outlook for the industry, the company is trading at a steep discount that does not consider the long-term outlook and the increasing demand for wires in the growing electric car segment. Accordingly, after a sharp drop in Swiss equities, we expect the coming earning season to be a positive event, thus providing good buy opportunities for small- & mid-cap companies active in the country.